We’ve all heard it over and over again – we need to use social media to build our audience and further the growth of our business. Not everyone is taking action, though. And there are multiple reasons for this. Some people feel like they don’t have the money to invest in ads. Others aren’t convinced that social media is the best way to use their time and resources. Still, others feel completely overwhelmed by the whole social media marketing thing. Thankfully, we have someone who can help: John Paul Aguiar. John Paul is a blogger and entrepreneur who has dedicated himself to helping other business owners and bloggers learn how to use social media and blogging successfully. During our conversation, we talked about how to use social media in a super smart way. 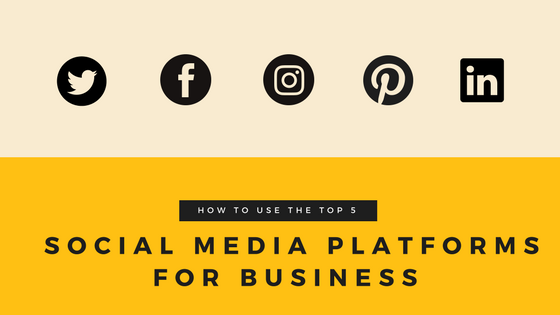 John Paul discussed some of the most popular social media platforms and how you can easily use them without spending loads of time or money on them. Who It Works Best For: Just about everyone. Tips for How to Use This Platform: This is John Paul’s favorite platform because it’s the only free platform that can drive traffic to your website within three or four days. The cool thing about Twitter is that you don’t have to be on it all day – you just have to look like you are. There are tools out there, like Hootsuite, which allow you to input all of your posts at one time. Then, it posts them to your social media sites of choice at designated times. When the tweets are scheduled to post, hop onto Twitter and respond to questions and comments. Ultimately, you only have to be on for about 10 minutes at a time – but it looks like you’re on for a lot more. John Paul is an advocate of hashtags, but he doesn’t want people to go crazy with them. For his Twitter account, he has approximately 20 hashtags that he alternates whenever he tweets. What About Ads: Twitter ads work really well, and you don’t need to spend a lot of money on them. If he has a new Twitter-related blog post, John Paul will spend $5 or $10 to help the tweet get a little more attention. But that’s all he’s willing – or feels he needs – to spend on Twitter ads. Tips for How to Use This Platform: Facebook is great – as long as you have the time to put into it. John Paul shares “a chunk of content” each time he posts. A “chunk” includes four pieces of content: a link to his own blog/video, and then three pieces of content from someone else – someone like you – or another blog, or maybe a Forbes Magazine article link. What About Ads: John Paul prefers Facebook ads over Twitter ads because for a $5 post boost you can end up in front of an extra 2000-3000 people. Who It Works Best For: People looking for more professional clientele. Tips for How to Use This Platform: John Paul shares his blog posts on LinkedIn, too. Lately, this platform has provided him with his highest paying clients to date. It’s brought him the most money from clients within the last two years than any other platform. He highly recommends joining some groups. Then, share very targeted information with them to attract them to your brand. Tips for How to Use This Platform: John Paul loves this site because it’s so easy and not time consuming at all. He typically writes one Instagram post each day. There are ten hashtags he rotates through regularly to make it even easier. The thing about this site is that it’s all about the visual – your blog picture should be very visually appealing. If it isn’t, John Paul recommends changing it to something better for your Instagram post. Then, add a little snippet about what the blog’s about. Occasionally, he makes an Instagram video if he wants to alert people that he has a really important blog to post soon. Who It Works Best For: Anyone who has a very visually based business and a lot of time. Tips for How to Use This Platform: Pinterest is a great platform for people who have a product to sell. It also works for people who have tips for their followers – like home improvement, decorating, and organizing. The thing about Pinterest, though, is that you need to spend a lot of time on it. It’s one of those sites that you need to be on daily in order to do really well on it. John Paul recommends posting once or twice a day, reaching out to people and liking their boards, and trying to connect with people. It takes more work than some of the other sites, but can definitely be worth it. Nothing happens overnight. You can have the best practices and spend the most money, and you still won’t see a huge increase in sales in a short period of time. Advertising and reaching out to your target market takes time and persistence. But it’s one of the best ways to build your business and improve your search engine rankings. Stick with your efforts. Even someone as knowledgeable as John Paul found that it takes time and consistency. In his words, some of his first efforts failed. But when he decided to hunker down and implement what he was learning on a regular basis – then he saw some amazing results. This can happen to you, too. Put into practice some of the tips of experts like John Paul, and then keep at it. Before you know it, you too will start to see results. Are you in the process of trying to attract and grow your audience? Follow John Paul on Twitter and check out his regular blog posts. You’ll get a wealth of helpful information.